No matter how hard I try to keep it organized, my jewelry drawer always turns into a mess, and I can never find what I'm looking for. I've seen many lovely solutions to this, but none quite for me. 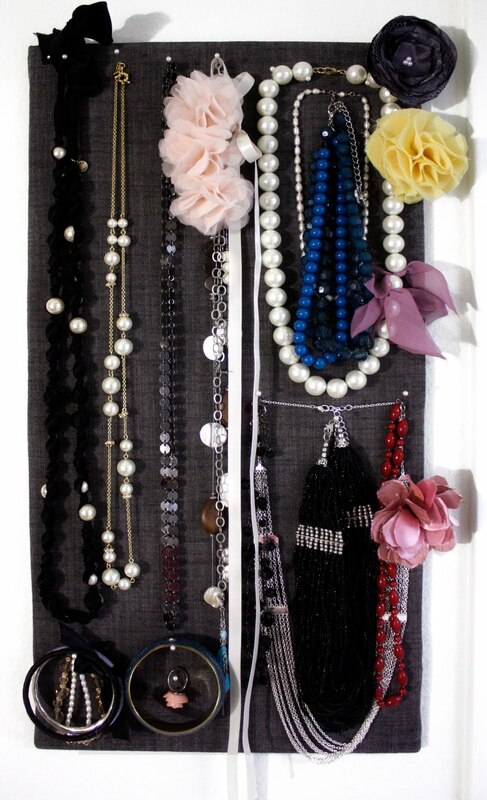 Some people hang their jewelry on jewelry stands. Others hang it on hooks attached to the wall. First, I cut out a 12" x 24" piece of foam core for the backing. Next, I hot-glued both sheets of cork board to the foam core. After that was in place, I just wrapped fabric around the entire front and stapled in place with the staple gun! 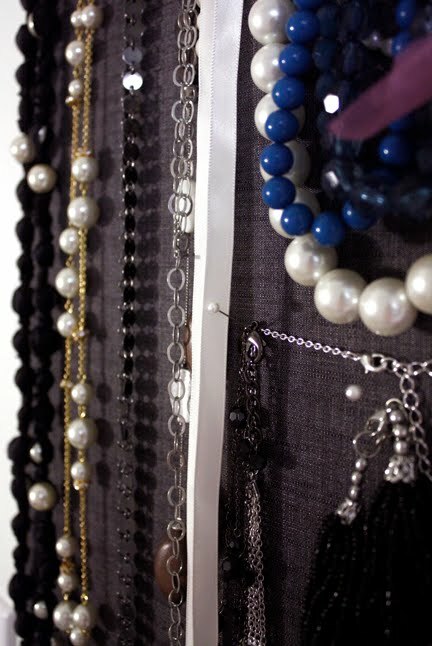 To help with the weight of the jewelry, I actually nailed the board to the wall.